In the market for a gas grill? Want to know you're getting one that will keep on grilling? 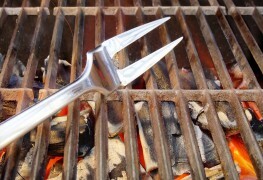 Here's how to make your pick, and what to do to keep it grilling for many burgers to come. Nothing brings friends together quite like an old-fashioned barbecue. To help you host your best get-together yet, here are 4 top grilling tips. 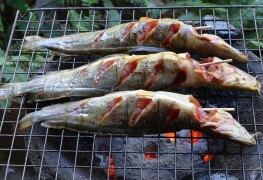 Some of the most delicious grilled foods are also among the least-often grilled ones. 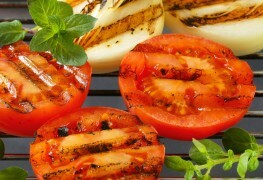 Discover five foods that most people never think about grilling – but should! 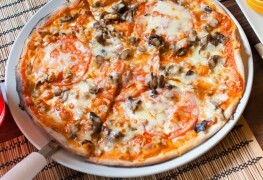 Cooking pizza on your barbecue is much simpler than you might imagine. And the results? Heavenly! Here's how to successfully grill your next pizza in three easy steps. 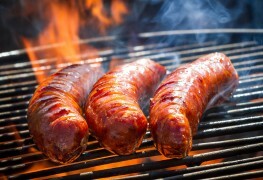 A barbecue is the cornerstone of summer cooking. 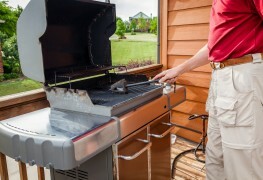 Keep your barbecue is top grilling order with the following tips and tricks on barbecue maintenance. 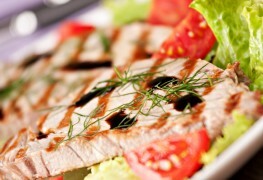 Bottled salad dressing makes a fabulous marinade. Here, it flavours Southern-style catfish that's basted with a spicy-sweet sauce made from condensed tomato soup. The entire recipe takes only 20 minutes of your time. 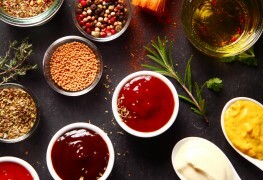 Store-bought barbecue sauces are a great ­convenience to have around. 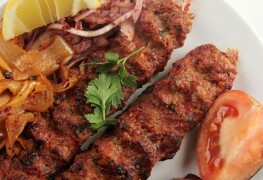 But because they have such a distinctive taste, they work well only in certain dishes. Adding ginger ale to the sauce creates the perfect sauce for Jamaican jerk turkey. A richly flavoured, spicy purée of char-grilled red peppers, chilis, onion and garlic makes the perfect partner for grilled meaty fish steaks. A single slice of bread gives the pepper purée great body and mouth-feel. 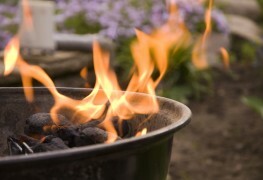 If you do not have a ready-made, proprietary barbecue, improvising an effective outdoor fireplace is simple. Here's what you need to know to get started. 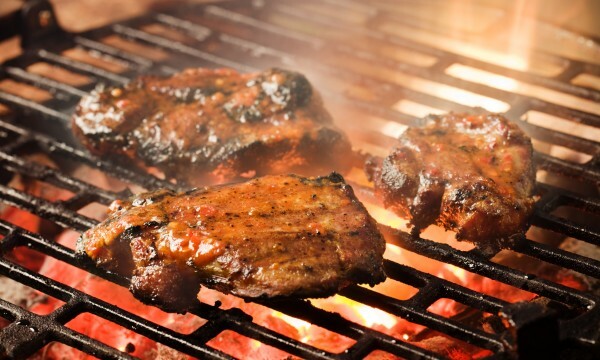 Smoking your meat will give it delicious flavour that is sure to be a hit at any barbecue. Here's some tips on how to do it effectively and safely. 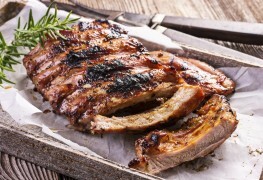 Experts agree the ideal BBQ rub recipe for ribs uses a basic formula of eight, three, one, one. Although they all start with a base of brown sugar and salt, the two variables of "one" are the ingredients that bring out each of their unique flavours. Knowing how to choose between brining, seasoning and injecting meat will help new cooks develop their own superb BBQ recipes. 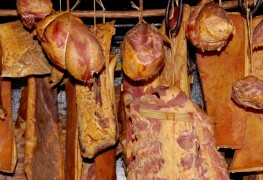 While all methods can be used on almost any type of meat, some flavouring techniques work best with certain cuts of meat. 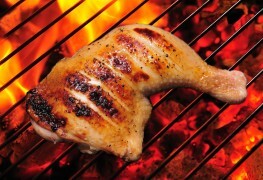 Is outdoor grilling an art form in your books? 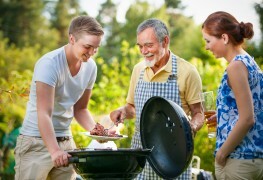 If so, then here are some features to look for when buying an outdoor grill. 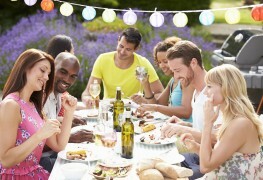 You'll be the most popular neighbour on the block when you follow these tips for hosting your own barbecue. 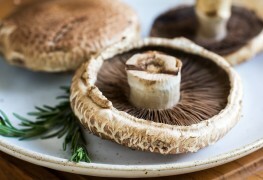 Portobello mushrooms have a wonderfully meaty texture that's amplified when the mushrooms are grilled or broiled. In this elegant dish, maple syrup and soy sauce enhance the rich mushroom flavour. Whether for watching the big game or up at the cottage for a summertime barbecue, these tender spareribs with Texas-style sauce will have guests begging you for the delicious recipe.